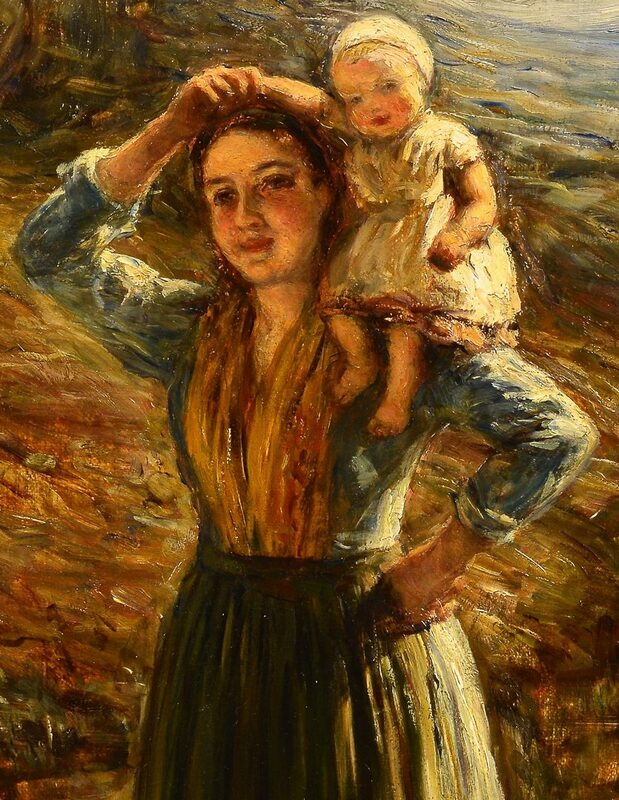 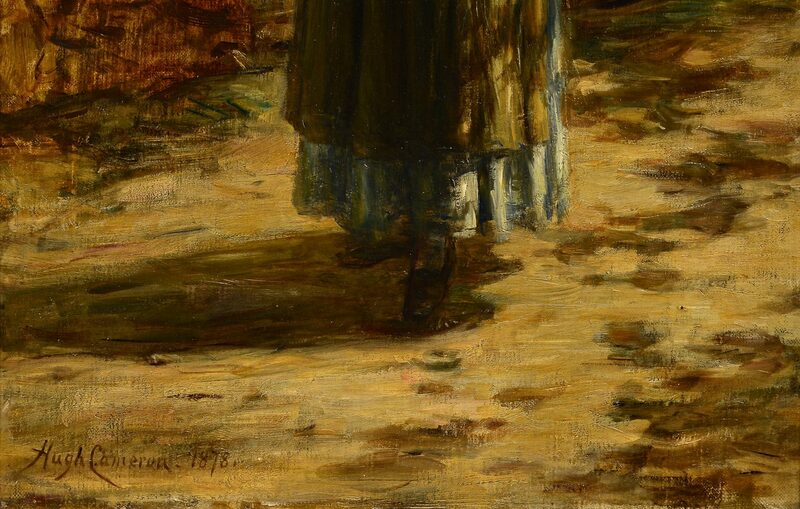 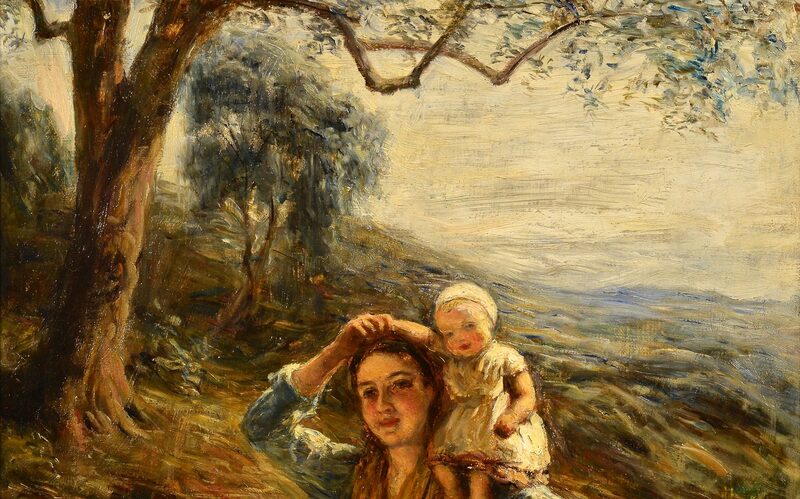 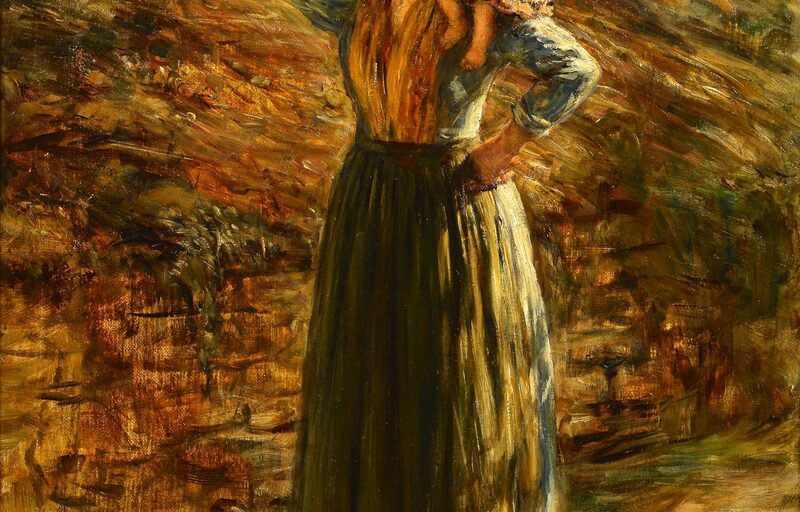 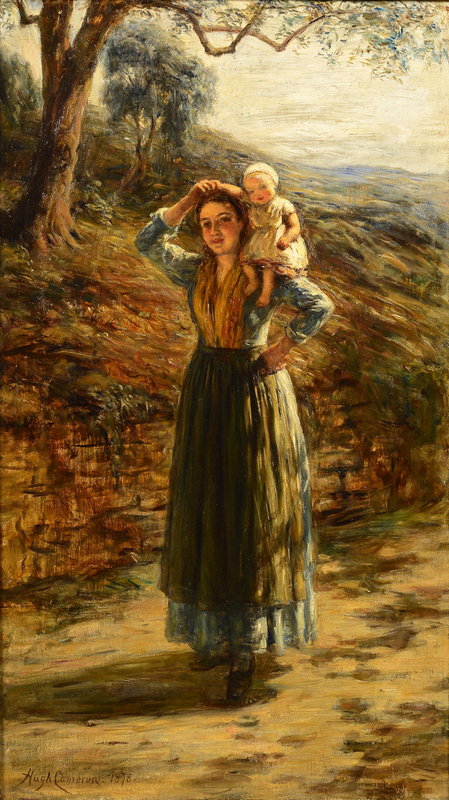 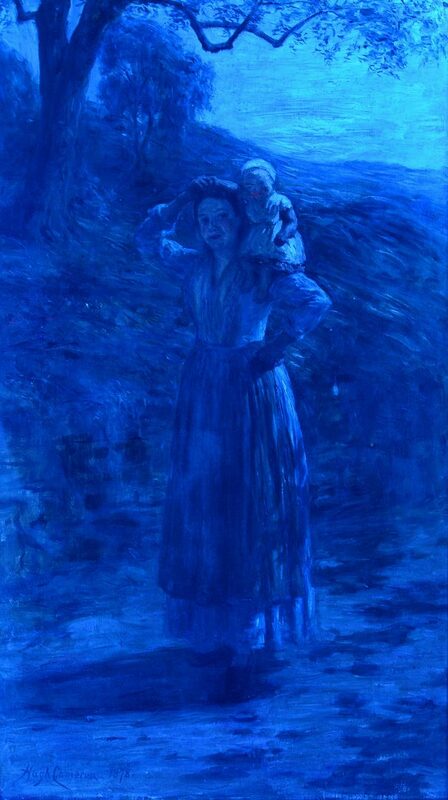 Hugh Cameron (United Kingdom, 1835-1918) oil on canvas painting of woman holding child on shoulder with countryside in background, signed and dated, 1878, lower left. 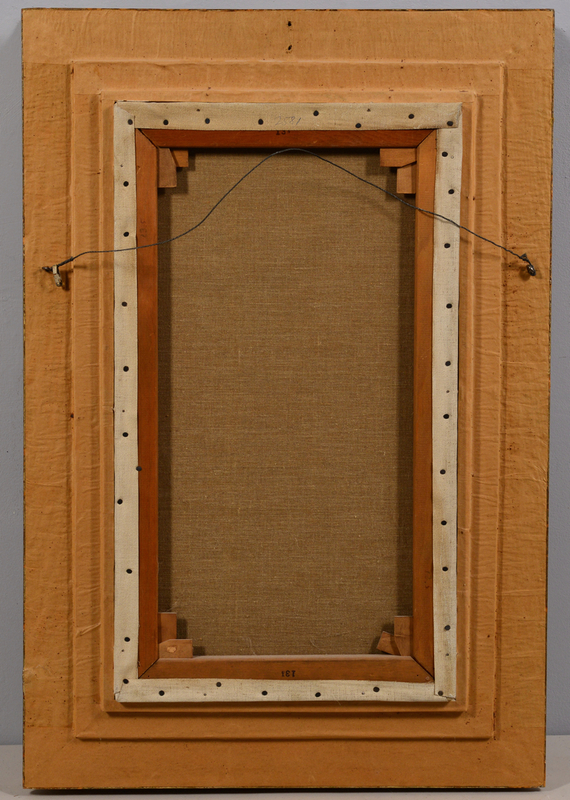 Housed in carved gilt frame. 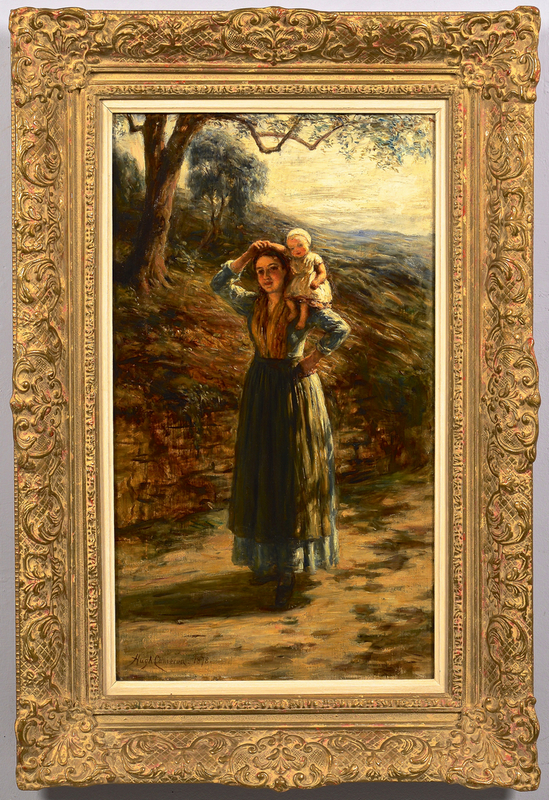 Sight – 22 7/8" H x 12 7/8"W. Framed – 31 1/8"H x 21 1/8"W. Provenance: William Zarnon Estate, Gatlinburg, TN. 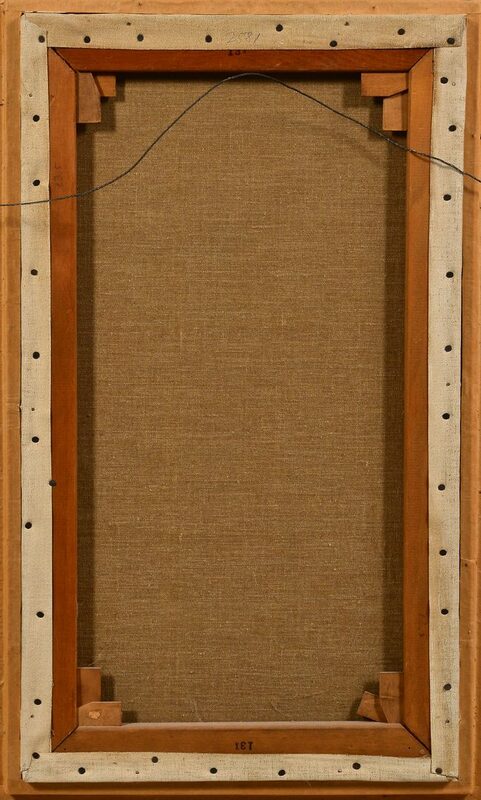 CONDITION: Canvas appears to be relined.